Cruisin' Tots: Is That Classic Car Safe for Kids? It's a great car, really, but it has a 20-gallon gas tank behind the seat and the seat belts leave something to be desired. You love your new rig even though it's 30 years old. You also love your kid. Can you take your child on a road trip safely? While a lot of safety laws offer exceptions for grandfathered-in vehicles that were manufactured before safety regulations, there are risks parents probably shouldn't take. There are also ways you can make the ride a little safer, in some cases. This article will help you make some sense of it all. 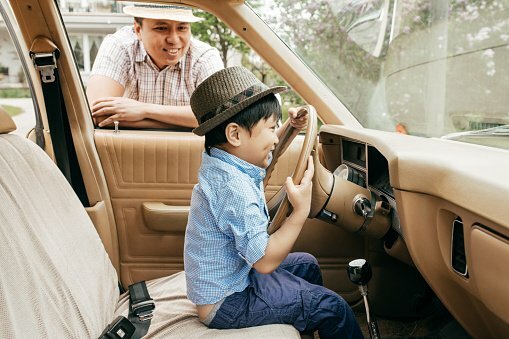 Here's what you need to know about classic car safety and how to protect any kids that ride along with you. 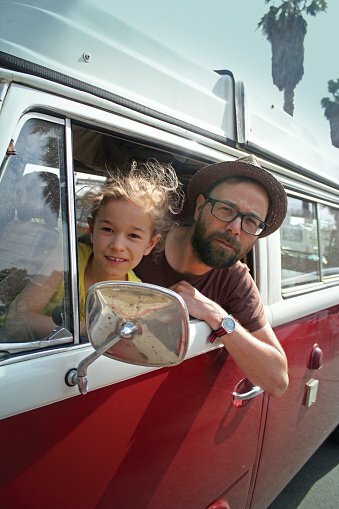 Is Your Classic Car Safe for Children? No doubt about it, classic cars are popular with a lot of drivers and collectors alike. Unfortunately, though, they're often rather lacking when it comes to safety features. Children, in particular, need specific features designed to protect them in the event of a car crash. The changes and updates to safety laws that we've seen over the past several decades were all part of a plan to reduce crash injuries and fatalities in the U.S.
As new safety laws went into effect, these rates dropped accordingly. In 2016 alone, it's estimated that seat belts saved the lives of 15,000 people, according to the Centers for Disease Control and Prevention (CDC). The CDC also says that seat belt use cuts the car accident injury and fatality rate in half. "Older cars without seat belts cannot be made safe for any occupant," said Doug Campbell, President, Automotive Safety Council. Campbell also noted that other dangers are present in classic cars as-is. Original models didn't have all the safety features we have today--something to keep in mind if you're driving an unrestored or un-upgraded cars. In some cases you can upgrade the safety features of your classic car to improve its safety. This can be an expensive investment as you'll likely need to pay a professional to help you install new safety equipment like lap and shoulder seat belts. Keep in mind that what you can do to upgrade your classic does depend on the model; it won't necessarily get you the same safety results as buying a modern car. Sometimes, modern seat belts can be installed in classic cars. Get help from a professional so you can find the right installation points and ensure that they actually work the way they're designed to. You may need new wheels and other modifications to safely use modern tires, but today's traction tires may help improve the safety and maneuverability of your car. By purchasing a conversion kit, you can install better brakes on your car--at least for the front wheels. You might be able to buy current headlights and use a kit to convert your car. Newer lights do a better job of illuminating the road than yesterday's lights did. You can certainly do more to allow for a safer car, but it's essential to note that classic cars weren't truly designed from the ground up for safety like today's vehicles are. Even with these upgrades, you can't change the fundamental structure of the car. "Classic cars are not safe for any occupant in an accident if not equipped with original seat belts, air bags and other safety equipment. Same is true for the crashworthiness of the vehicle structure in older cars not being as safe." Campbell adds. For these reasons, he said he can't recommend classic cars as safe modes of transportation equivalent to newer vehicles. Ultimately, it's not simple or cheap to make classics safer and it's not guaranteed to work. Many collectors are reluctant to make any changes, too, because then the car is fundamentally different. That said, for classic car owners, it may be worth it to invest in some upgrades if you're planning to drive it. Particularly if you're bringing others (like kids) along for the ride.